8:00 AM → 8:00 PM. Twelve hours, right? It’s actually 21 hours, given the nine-hour time difference between Paris and Portland. Twenty-one hours, and it never got dark. We depart the Gare de Lyon with all the fanfare of a taxi departing a stoplight. A quiet and really fast taxi. But unlike any taxi I’ve ever known, and even though the Gare de Lyon is Paris’s central train station, we’re out of the city and watching grazing sheep on grassy knolls before we’ve even removed our coats. We are in Paris, where we will stay for a month (sing it now: “April in Paris”). We flew here via Icelandair. According to Wikipedia, Portland, Oregon has at least sixty breweries within the city limits, more than any city in the world. Many attribute this to our natural resources (hops, barley, and our remarkable Bull-Run water), but I’m convinced it’s because I live there. When it comes to beer, I am the industry’s greatest asset. It’s a breathy, guttural roar, echoing above the tree canopy like something from Jurassic Park. When it awakens you in the darkness before dawn, your eyes fly open, the hair stands up on the back of your neck, and the flight or fight response kicks in, leaning decidedly toward flight. Run! Trouble is, there’s a jungle outside your door. Things with teeth live out there, and one of them is looking for breakfast. 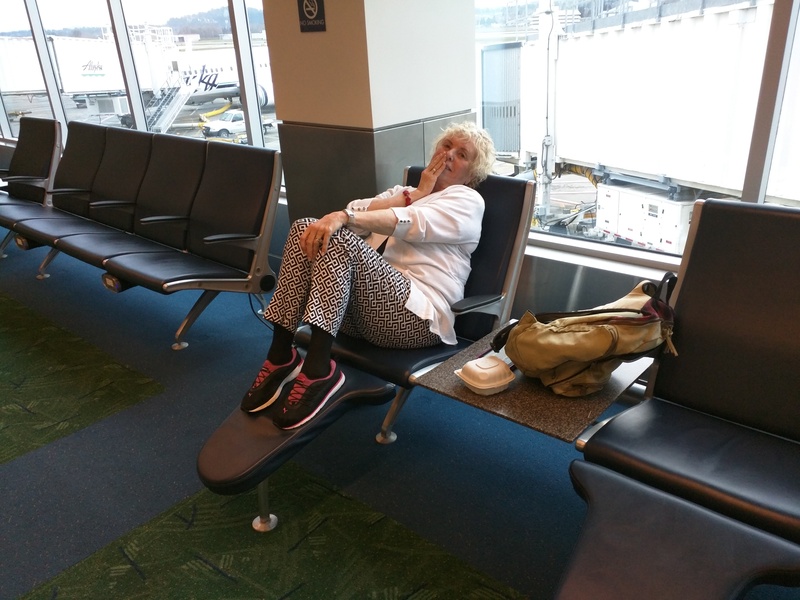 Louise covers a dainty rivulet of spittle leaking from her Novocainned lips while waiting at the Portland airport. This will be short. I’m using my phone and I’ve had two beers. Which is nothing compared to Louise, who has had three martinis. Doubles. She’s pictured above, in gate C7, hiding her face but happy. Really happy. Dedicated readers will remember the SNAFU with a real estate agent in Puerto Vallarta that left us without a place to live for the first two months of this year. We adjusted, but were left holding two plane tickets, which Alaska Airlines graciously agreed to let us use in any way we liked—as long as we flew Alaska. The journey home required precisely 24 hours. 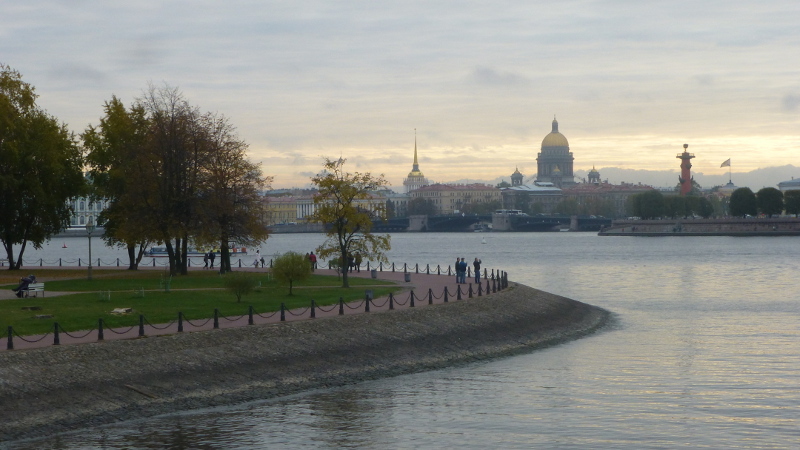 We arrived at our Portland doorstep at midnight Thursday and fell into bed, where we’ve pretty much remained for two days.